Howe states in an interview on the topic of his pedals: "I was using an Ernie Ball volume pedal when I wasn’t using the Line 6 Pod XT Live, which has a built-in one." Daniel has been seen using Line6 Pod XT Live on stage for a long time. As can be seen in the touring rig of 2009 source, Gustavo Cerati used the Line 6 POD XT Live. At 2:55, there is a clean shot of Colin Frangicetto's pedal board. The Line 6 POD XT Live is on the bottom right. In this Instagram photo shared on Ekstrom's account, the Line 6 POD XT live can be seen. In this [article from *AltSounds*](http://hangout.altsounds.com/features/128096-lowdown-ryan-key-yellowcard.html) Ryan says "I am now playing through a Line 6 POD XT and I love it. The technology has really gotten to a place where I can emulate the sound of my amplifiers yet not have to carry them on the road. It saves a lot of time, space, and money." Joseph Milligan, of Anberlin, uses a Line 6 POD XT Live, according to [this](http://www.guitargeek.com/joseph-milligan-anberlin-guitar-rig-and-gear-setup-2009/) rig diagram. "On the latest album, I used a WEM Dominator combo. It’s an old British tube amp that sounds incredible. Other than that, I just used a Line 6 PODxt Live." On the "Links" page of [Ure's old website](http://www.midgeure.co.uk/archive/links.html), it states, "Midge uses Line 6 effects pedals both in live shows, and when recording his electric guitar. He started with the original 'kidney' shaped Pod, and has now moved up to the Pod XT pedal board." 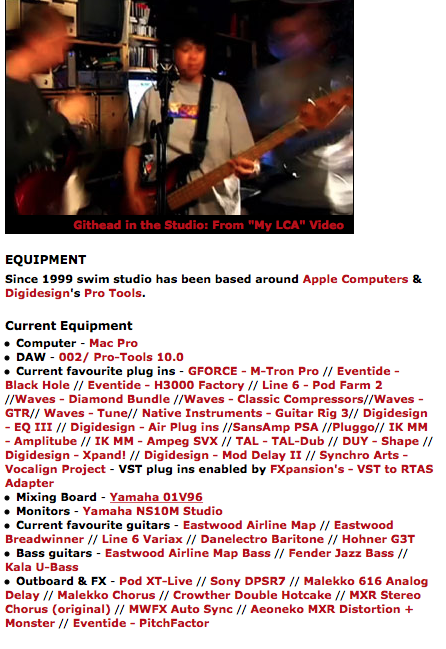 On [his website](http://www.colinewman.com/studio.html), Colin lists the XT Live as being among the many effects units employed at his Swim Studio. He used to use POD XT LIVE on tour and for Youtube. For those looking for old but amazing multieffect boards, this is your answer!